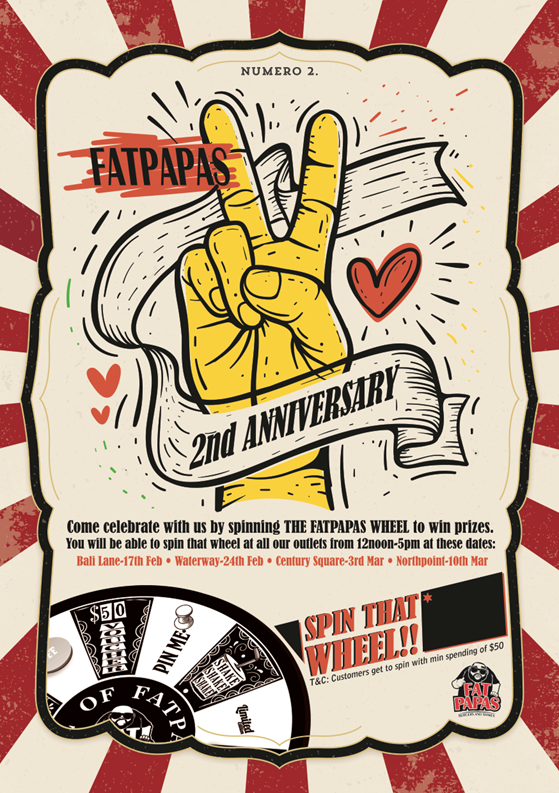 Come and celebrate FatPapas Burgers & Shakes' second anniversary at Waterway Point this Sunday, 24 February 2019 from 12pm to 5pm with Sheikh Haikel! 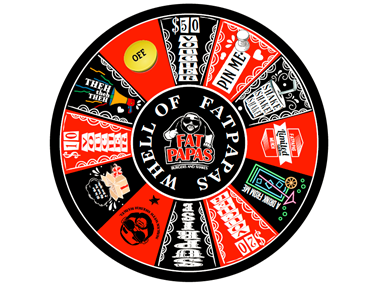 Spin the WHEEL OF FATPAPAS to win prizes and vouchers with a minimum spend of $50! Available at Waterway Point, East Wing, #01-31.